Similar to a portable missile launching system, the green color gives further boost to its intimidating monster look. If you think spending US $ 10,000 a lot for your hobby then you have no idea to what extent one can go if they have Money. 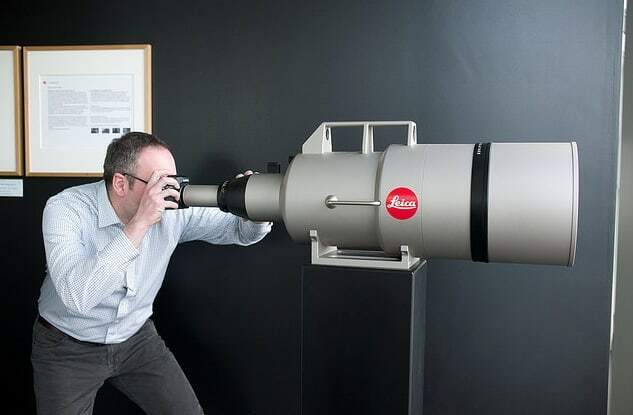 Sheikh Saud Bin Mohammed Al-Thani of Qatar ordered the specially made Leica APO-Telyt-R 1:5.6/1600mm lens direct from Leica and spent a whopping $2,064,500 to get it. This makes it the most expensive consumer camera lens ever made. This Leica APO-Telyt-R was prototyped and built in Leica’s Solms, Germany factory, where the prototype can still be seen on display. 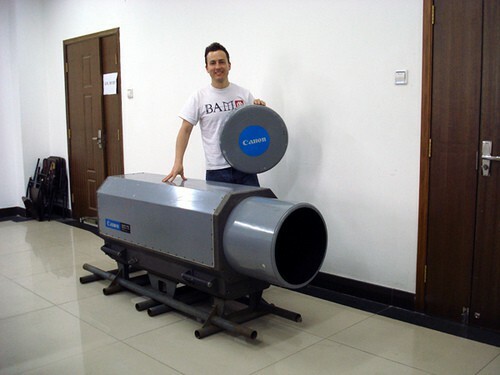 At 1.2-meters long, 42cm wide at the end with whopping 60kg or 132lbs weight it may need a truck to be carried around. Interesting fact is that It was delivered to Al-Thani in 2006, and no pictures taken with it have ever been made public. 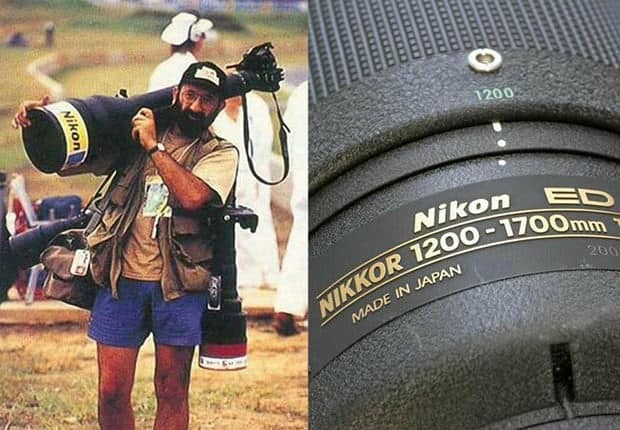 Weighing in at 36 pounds and measuring nearly 3 feet in length, the manual focus lens was introduced in 1993 and had a hefty price tag of $60,000. It was first used in 1990 at the Koshien Stadium, the baseball ground at which the spring high school baseball tournament is staged. It was also used during the french hostage situation to capture photos from safe distance by AP journalists. 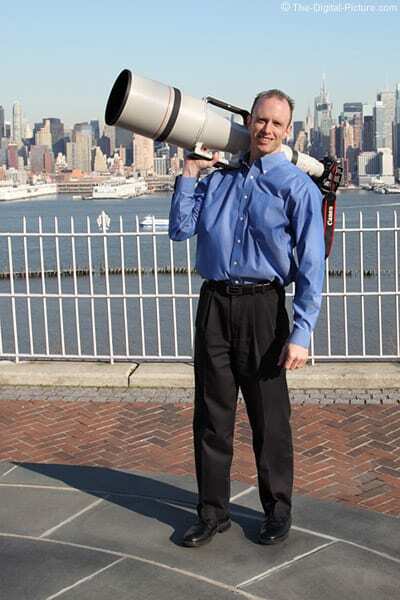 This 5200mm prime lens is the world largest known SLR lens. It’s said that only three of this toys are around, all made in Japan, and all in private hands. 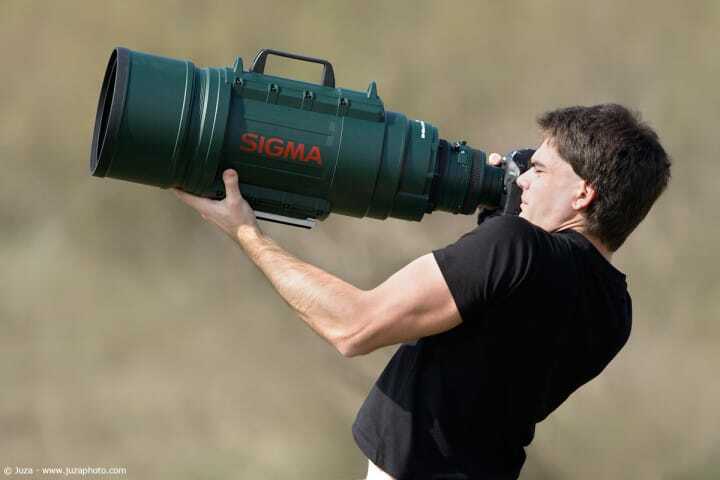 The lens focuses on objects 18-32 miles (30 – 51.5 km) away. If it was even more powerful the earth’s curvature would be a serious issue. The minimum distance is 400 feet (120 meters), the weight is around 220 lbs (100 kg). One of these monsters sold in eBay a few years ago for a ridiculous $50000. Definitely not recommended for frequent travelers. .